Vilnius, December 2013. On the invitation of the UNESCO Institute for Lifelong Learning (UIL) and with endorsement of the National Commissions for cooperation with UNESCO, the delegates from the South Eastern Europe countries (Bosnia and Herzegovina, Montenegro, Macedonia and Serbia) had taken an active part in the conference “Equipping adults for the 21st century – Joining forces for action on skills and competences” devoted to adult learning and education. 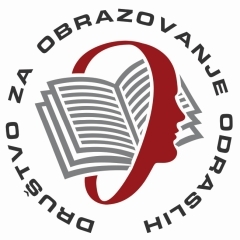 The conference was organized in cooperation of UNESCO Institute for Lifelong Learning and the European Commission – Directorate General for Education and Culture. The conference was hosted by the Lithuania during its presidency of the Council of the European Union 2013. The event took place in Vilnius from 9th to 10th December 2013 year. Participation of delegates from South-East Europe was supported by dvv international. 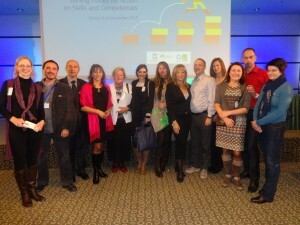 Over 200 experts in the field of adult learning and education from the North America and Europe took an active part in the conference which was aimed at assessing progress in the implementation of the Renewed European Agenda for Adult Education and Belém Framework for Action, in light of the recently published results of the OECD Programme for the International assessment of adult competencies [PIAAC]. The experts made agreement and adopted further action points referring on issues of literacy, participation, cooperation and coordination and financing adult education in the light of equality, quality and accessibility of education. The Regional Coordinator of CONFINTEA VI in action Ph.D. Katarina Popovic presented the activities which have been carried out under the monitoring of the implementation of Belem Framework for Action in the South East Europe region. She pointed out that CONFINTEA VI and the Belém framework for action were not only a meeting or document to region of Southeast Europe but rather process and advocacy tool. In the light of successfully submitted National progress reports, Katarina Popovic presented the second Regional report on adult learning and education in South Eastern Europe. The report was presented as an example of good practice on how the regional countries can cooperate and thus achieve more effective results in the implementation of the recommendations defined in the Belém in 2009.